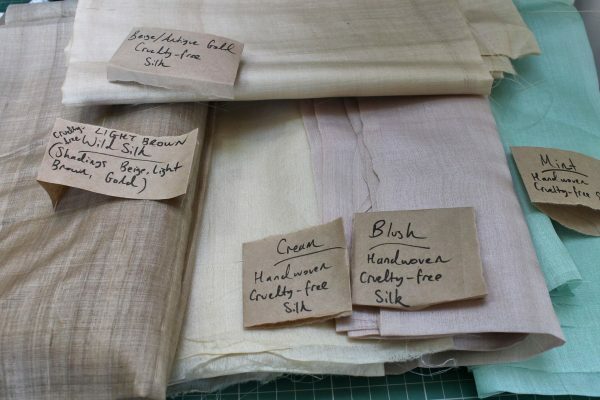 The light brown wild peace silk as well as the beige/antique gold are the silk’s natural colour. The cream, mint, and blush peace silks have been dyed with eco-safe low-impact dyes. The silks are all artisanal silks handwoven in India.